Bundle up this morning! Temperatures have dropped into the lower 30s this morning and we are tracking widespread frost across the area. The National Weather Service has a Frost Advisory in effect through 9 a.m. EDT. Bundle up this morning! Temperatures have dropped into the lower 30s this morning and we are tracking widespread frost across the area. The National Weather Service has a Frost Advisory in effect through 9 a.m. EDT. You may need to give yourself a few extra minutes to scrape the frost off car windshields and warm up vehicles. Frost has formed because of the light winds, clear skies and bitter temperatures. 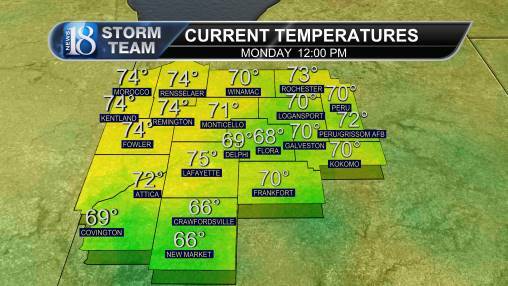 Even though we have chilly weather to kick-off the day, temperatures are going to warm up nicely for the afternoon. 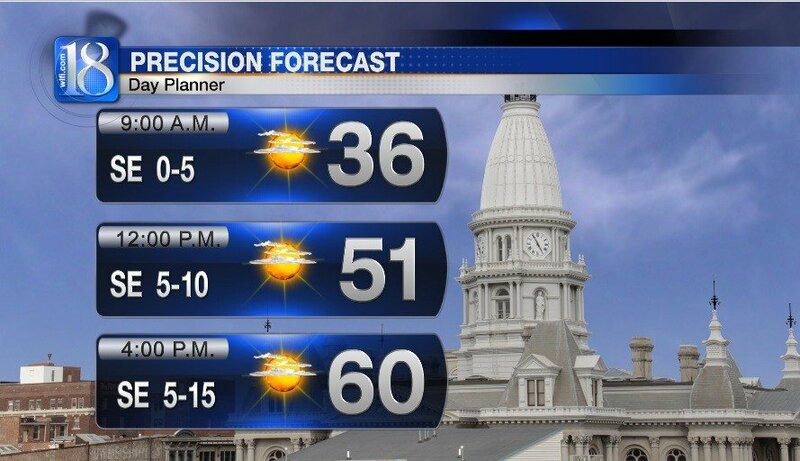 Today will be the warmest day of the week with forecast highs in the upper 50s and lower 60s. 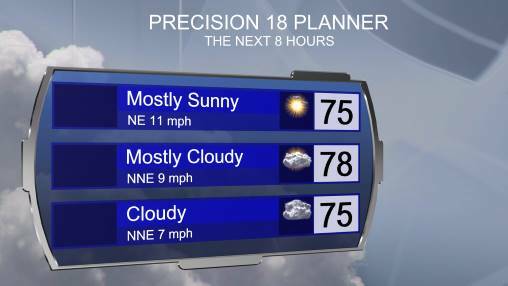 Highs today will be trending a couple degrees below average. 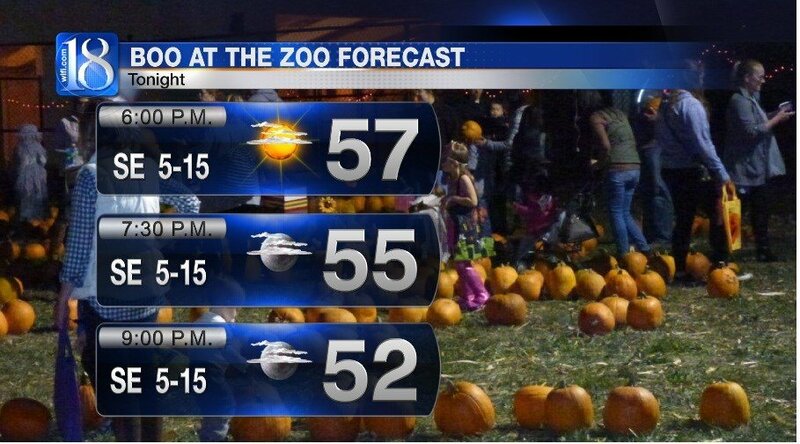 Skies will remain mostly clear through the evening hours as temperatures fall into the 50s. Lows will not be nearly as cold as this morning and will fall into the mid-40s. 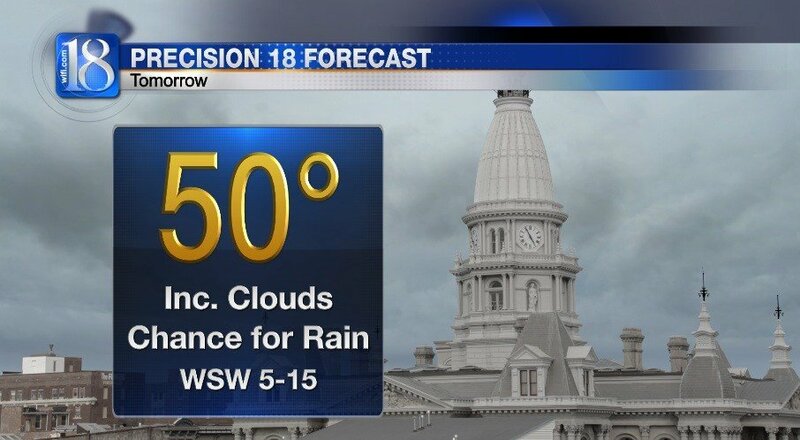 Cloud cover will increase on Saturday and temperatures will struggle to rise into the lower 50s. Be prepared for rain by Friday afternoon and evening. The system will bring cooler weather for the weekend and now forecast models are trending drier for both days. 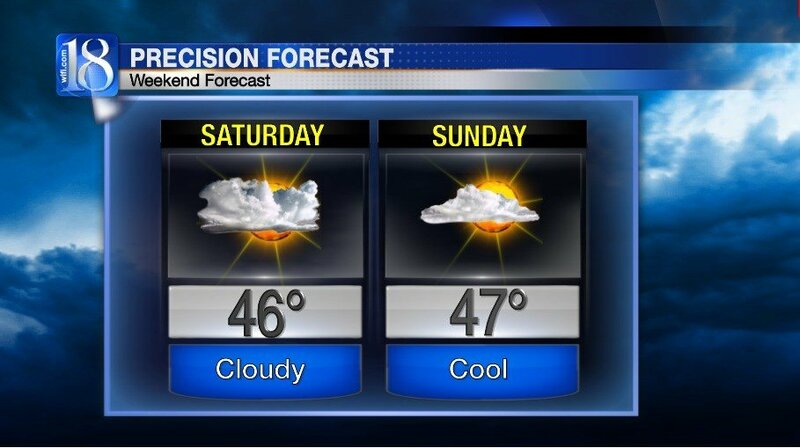 Skies will be mostly cloudy on Saturday and there are going to be more peeks of sunshine on Sunday. 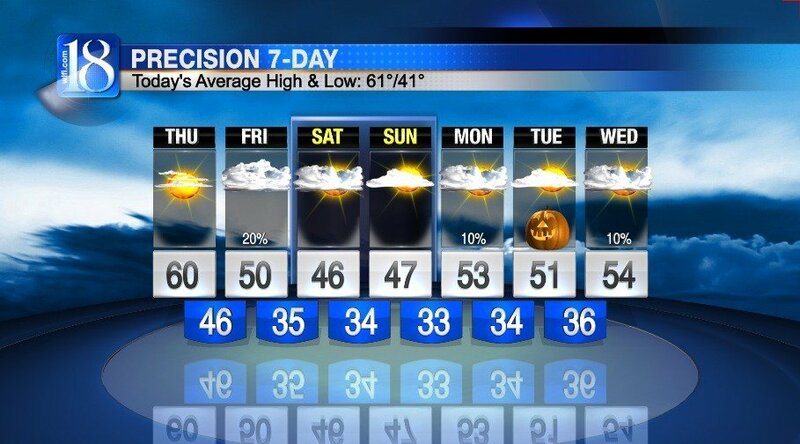 Highs will climb into the mid-40s. Temperatures will rise back into the lower to mid-50s at the start of the next work week. The forecast on Halloween looks dry with a high of 51°.